The following is a joint statement by Catholic organizations regarding the Syrian refugee crisis. 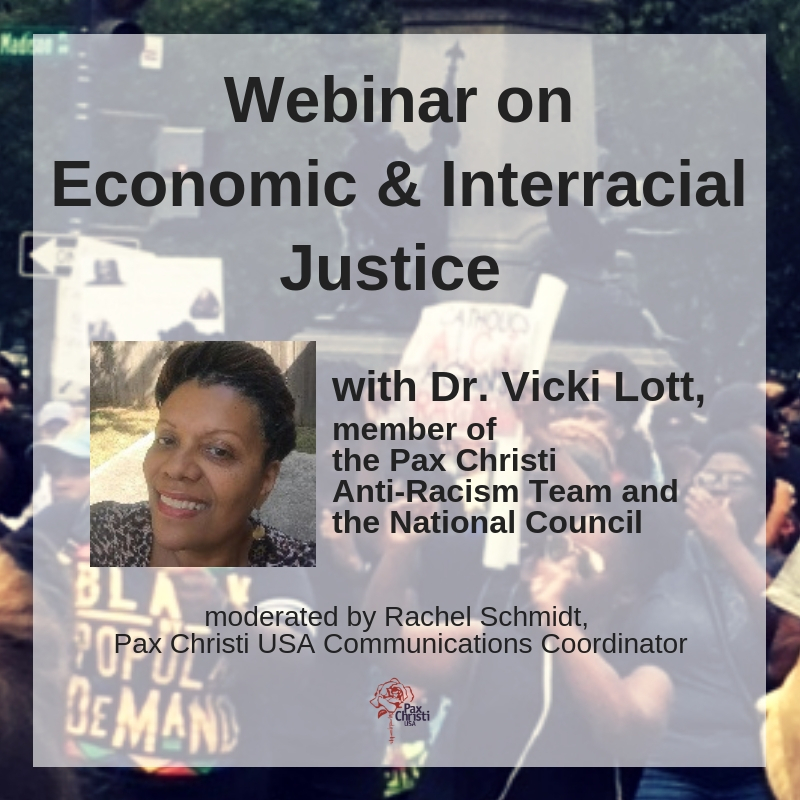 Pax Christi USA is an endorser. The statement is being sent to Members of Congress. As national Catholic organizations advocating for justice and peace, we speak from the experience of our members who serve on the ground around the world with those who are suffering, including refugees fleeing from violent conflict. We know their stories, their heartbreak, their fear, and their persistent efforts to survive, even flourish. We repudiate the recent attacks in Beirut, Paris, Baghdad, Raqqa and in too many other places around the world. We know families and communities are suffering and our prayers are with them. We deeply believe that violence will not prevail and that the memories of those who have been killed will inspire sustainable solutions to such horrific violence. We cannot, however, let our grief and fear blind us to the desperation and despair of another group of victims: the millions and millions of refugees fleeing for safety from Syria. For many years, people in Syria and Iraq have been inundated with violence in their home countries and fleeing from the same type of violence we saw in Beirut and Paris. The world watched with horror as the body of a three year old Syrian boy washed onto Turkey’s shore, yet families continue to lose their lives daily as leaders debate how to respond. That many governors and presidential candidates would have the United States stop accepting Syrian refugees or accept only Christians is both deplorable and a form of structural violence. The faithful response is to open our hearts and our homes to Syrians of all faiths in recognition of our sacred call to protect and nourish life. To reject Syrian refugees out of fear would be wrong. The U.S. government handpicks and thoroughly vets the refugees who resettle here. All refugees resettled in the United States undergo rigorous security screenings by the Department of Homeland Security, the FBI, the Department of Defense and multiple intelligence agencies; these include biometric checks, forensic testing, medical screenings and in-person interviews. This is not an either/or situation. The United States can continue to welcome refugees while also continuing to provide an environment of safety. We must do both. Further, we strongly urge your support for the diplomatic efforts being made in Vienna to de-escalate the violence in Syria, which will be a significant step to mitigating the refugee crisis. In sum, it is precisely the willingness to welcome the other, i.e. the virtue of hospitality, and the practice of inclusion, that groups like ISIS oppose. If we refuse to welcome refugees in urgent need, we risk becoming like those we claim to deplore. We pray that in your discernment, compassion for the plight of refugees will touch your hearts.